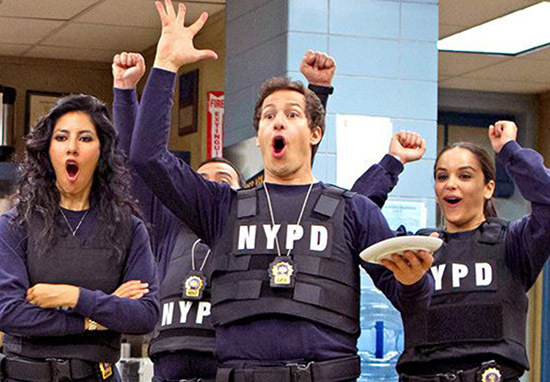 Following the amazing news how NBC have picked up Brooklyn Nine-Nine for a new series, the cast have all responded in the best way possible. Ok well probably not the best ever – I’m guessing your version of the best ever and my version, differ quite drastically. But still, it’s pretty awesome! 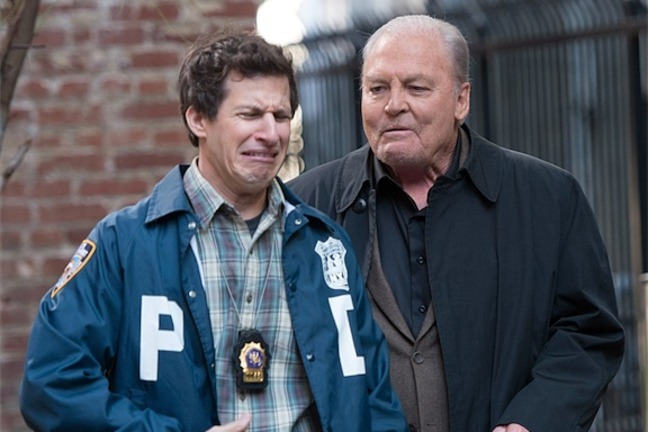 Fans were mourning the loss of their beloved cop comedy on Thursday, (May 10) following Fox‘s decision to not embark on another series after the season five finale. A decline in viewer ratings were believed to be the reason as to why Fox chose not to progress with season six of the Golden Globe-winning series – despite the show’s rave reviews and cult following. However, according to The Hollywood Reporter, NBC swooped in to renew, after Hulu, Netflix and TBS all passed on a potential sixth season. Mike Schur, Dan Goor and Andy Samberg grew up on NBC and we’re all thrilled that one of the smartest, funniest and best-cast comedies in a long time will take its place in our comedy lineup. I speak for everyone at NBC, here’s to the Nine-Nine! This was followed up with another tweet which thanked everyone for their ‘crazy outpouring of support’, before tweeting again, this time, getting Hulk Hogan involved. Melissa Fumero, who plays the fan-favourite Detective Amy Santiago, used a number of memes to express her delight. If I had a mic right now, I’d drop it. #Brooklyn99 IS COMING BACK FOR SEASON 6 YOU GUYS ON NBC!!!!! You did this!! You got loud and you were heard and you saved our show!! Thank you!! Thank you to NBC!! NINE NINE!!!!! Detective Charles Boyle, played by Joe Lo Truglio, followed in similar fashion, with his tweet. 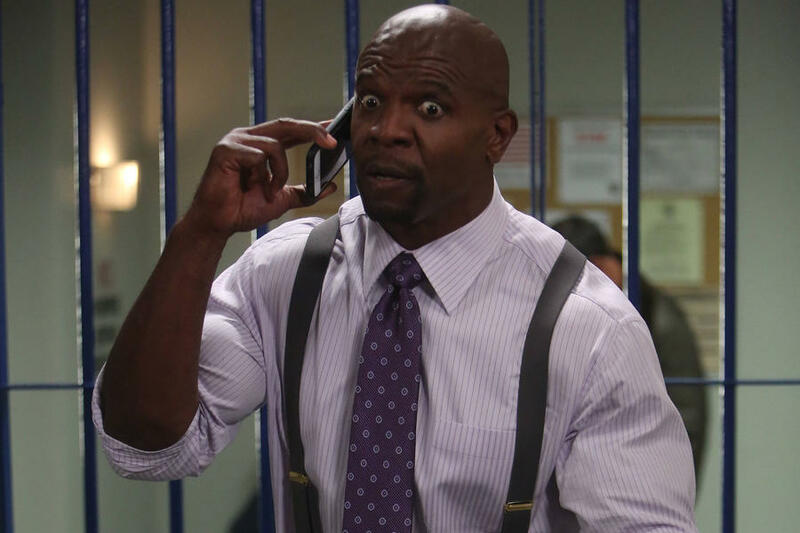 Probably everyone’s favourite Sergeant, Terry Jeffords, played by the loveable Terry Crews, tweeted his thanks and appreciation, and of course, included a little humour from the show. Santiago, sorry Melissa Fumero, tweeted a whole heap of tweets – clearly excited. To finish off, we have everyone’s favourite sardonic civilian administrator, Gina Linetti, played by the amazing Chelsea Peretti. What a cast. What a show! Can’t wait to see it return!